o B. Eng. (Honors), Department of Civil Engineering, Chulalongkorn University, Thailand, 1998.
o Ph.D., Department of Civil Engineering, Chulalongkorn University, Thailand, 2003. Strengthening and repair of bridges and buildings, fatigue and fracture mechanics, finite element analysis, advanced structural analysis, adhesive-bonded joints, and advanced FRP composites. 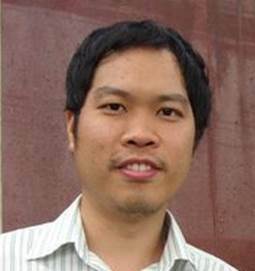 o Associate Professor, Department of Civil Engineering, Chulalongkorn University, 2011-present. o Lecturer, Department of Civil Engineering, Chulalongkorn University, 2007-2011.
o Lecturer, Department of Civil Engineering, Srinakharinwirot University, 2007.
o Post-Doctoral Researcher, Department of Civil and Environmental Engineering, University of Maryland, College Park, USA, 2003-2006.
o Registered Civil Engineer, Council of Engineers (Thailand). o Member, Subcommittee on Concrete and Materials, Engineering Institute of Thailand (2008-2012). o Member, Subcommittee on Steel Structures, Engineering Institute of Thailand (2010-present). o Member, Thailand Structural Steel Society (TSSS) (2016-present). o Member, International Institute for FRP in Construction. o Lenwari, A., Thepchatri, T., and Watanabe, E. (2002). “Prediction of Premature Separation of Bonded CFRP Plates from Strengthened Steel Beams Using a Fracture Criterion.” Structural Engineering and Mechanics, Vol.14, No. 5, 565-574.
o Lenwari, A., Albrecht, P., and Albrecht, M. (2005). “SED Method of Measuring Yield Strength of Adhesives and Other Materials.” Journal of ASTM International, Vol. 2, No. 10, 377-394.
o Lenwari, A., Thepchatri, T., and Albrecht, P. (2005). “Flexural Response of Steel Beams Strengthened with Partial-Length CFRP Plates.” J. Composites for Construction, ASCE, Vol. 9, No. 4, 296-303.
o Lenwari, A., Thepchatri, T., and Albrecht, P. (2006). “Debonding Strength of Steel Beams Strengthened with CFRP Plates.” J. Composites for Construction, ASCE, Vol. 10, No. 1, 69-78.
o Albrecht, P. and Lenwari, A. (2006). “Stress Intensity Factor for Center-Cracked Plate With Crack Surface Interference.” Engineering Fracture Mechanics, Vol. 73, No. 8, 1035-1045.
o Albrecht, P. and Lenwari, A. (2007). “Fatigue-Proofing Cover Plates.” J. Bridge Engineering, ASCE, Vol. 12, No. 3, 275-283.
o Albrecht, P. and Lenwari, A. (2008). “Fatigue Strength of Trolley Bridge Stringers Made of ASTM A7 Steel.” J. Bridge Engineering, ASCE, Vol. 13, No. 1, 67-74.
o Albrecht, P. Lenwari, A., and Feng, D. (2008). “Stress Intensity Factors for Structural Steel I-Beams.” J. Structural Engineering, ASCE, Vol. 134, No. 3, 421-429.
o Albrecht, P. and Lenwari, A. (2008). “Fatigue Strength of Repaired Prestressed Composite Beams.” J. Bridge Engineering, ASCE, Vol. 13, No. 4, 409-417.
o Albrecht, P. and Lenwari, A. (2008). “Design of Prestressing Tendons for Strengthening Steel Truss Bridges.” J. Bridge Engineering, ASCE, Vol. 13, No. 5, 449-454.
o Lenwari, A. and Thepchatri, T. (2009). “Experimental Study on RC Beams Strengthened with Carbon and Glass Fiber Sheets.” Engineering Journal, Vol. 13, no. 2, 9-18.
o Albrecht, P. and Lenwari, A. (2009). “Variable Amplitude Fatigue Strength of Structural Steel Bridge Details: Review and Simplified Model.” J. Bridge Engineering, ASCE, Vol. 14, No. 4, 226-237.
o Albrecht, P. and Lenwari, A. (2009). “Fatigue Strength of Weathered A588 Steel Beams.” J. Bridge Engineering, ASCE, Vol. 14, No. 6, 436-443.
o Lenwari, A., Thepchatri, T., and Santisukpotha. (2012). “A Fracture-Based Criterion for Debonding Strength of Adhesive-Bonded Double-Strap Steel Joints.” Engineering Journal, Vol. 16, No. 1, 17-25.
o Lenwari, A., and Chen, H. (2013). “Finite Element Analysis of Distortion-Induced Web Gap Stresses in Multi-I Girder Steel Bridges." Engineering Journal, Vol. 17, No. 1, 95-109.
o Dinh, T. H., Lenwari, A., Senjuntichai T, and Hayashikawa T. (2013). “Finite Element Simulation of Mixed-Mode Crack Propagation Based on Strain Energy Density Criterion.” ASEAN Engineering Journal Part C, Vol. 2, No. 2, 66-77.
o Dinh, T. H., Lenwari, A., Senjuntichai T, and Hayashikawa T. (2014). “Distortion-Induced Fatigue Cracking at Web-Gap of Welded I-Beams.” ASEAN Engineering Journal Part C, Vol. 3, No, 1, 9-20.
o Ky, V.S., Lenwari, A., and Thepchatri, T. (2015). “Optimum Design of Steel Structures in Accordance with AISC 2010 Specification Using Heuristic Algorithm.” Engineering Journal, Vol. 19, No. 4, 71-81.
o Wantanasiri, P. and Lenwari, A. (2015). “Intermediate Crack-Induced Debonding Analysis for RC Beams Strengthened With FRP Plates.” Structural Engineering and Mechanics, Vol. 56, No. 3, 473-490.
o Lenwari, A., Rungamornrat, J., and Woonprasert, S. (2016). “Axial Compression Behavior of Fire-Damaged Concrete Cylinders Confined With CFRP Sheets.” J. Composites for Construction, ASCE, Vol. 20, No. 5: 04016027.
o Lenwari, A., Likitlersuang, S., Taetiangthum, S., and Teachavorasinskun, S. (1999). “Behavior of Soil under Unloading Condition.” Proceedings of the 5th National Convention on Civil Engineering, Chonburi, Thailand, GTE173-178. o Lenwari, A., and Thepchatri, T. (2001). “Prediction of Failure Load in Steel Beams Bonded with CFRP Plates Due to Fracture at Plate Ends Using Stress Singularity Parameter.” Proceedings of the 14th KKNN Symposium on Civil Engineering, Kyoto, Japan, 259-265.
o Pinkaew, T., and Lenwari, A. (2002). “Field Performance Test of R/C Beams Strengthened by Carbon Fiber Sheets.” Proceedings of the 8th National Convention on Civil Engineering, Konkaen, Thailand, STR392-397. o Lenwari, A., Albrecht, P., and Albrecht, M. (2005). “SED Method of Measuring Yield Strength of Adhesives and Other Materials.” Advances in Adhesives, Adhesion Science, and Testing, ASTM STP 1463, D. Damico, Ed., American Society for Testing and Materials, Washington, D. C., 35-52.
o Senjuntichai, T., and Lenwari, A. (2008). “Three-Dimensional Finite Element Analysis of Flyover Steel Bridges.” The 4th International Conference on Advances in Structural Engineering and Mechanics (ASEM’08), Jeju, Korea, May 26-28, 435-444.
o Hidayat, M. S. and Lenwari, A. (2009). “Effects of Bridge Parameters on Distortion-Induced Fatigue in Multi I-Girder Steel Bridges.” The 1st ASEAN Civil Engineering Conference, Pattaya, Thailand, March 12-13.
o Lenwari, A. (2009). “Compliance Ratio Method for Calculating Energy Release Rates in Structural Steels.” The 41st ASCE Structures Congress 2009, Austin, Texas, April 30-May 2009, pp. 2169-2178.
o Lenwari, A., Senjuntichai, T., Pinkaew, T., Thepchatri, T., and Limsuwan, E. (2009). “Field investigation on slab-on-girder steel bridges over intersections in Thailand.” The 33rd IABSE Symposium, Bangkok, Thailand, September 9-11, 2009.
o Santisukpotha, P., Lenwari, A., and Thepchatri, T. (2009). “Debonding Strength of FRP-Plated Steel Beams Subjected to Constant Amplitude Fatigue Loadings.” Proceedings of the 22nd KKCNN Symposium on Civil Engineering, Chiangmai, Thailand, October 31- November 2, 2009, pp. 205-210.
o Dinh, H., Lenwari, A. and Senjuntichai, T. (2011). “Finite Element Modeling of 2D Mixed-Mode Crack Propagation Using Strain Energy Density Criterion.” Proceedings of the 4th ASEAN Civil Engineering Conference, Yogyakarta, Indonesia, 22-23 November 2011 (CD-ROM). o Prasertsri, T., Lenwari, A., and Rungamornrat, J. (2013). “Finite Element Analysis Of Strength And Ductility Of Concrete Cylinders Partially Confined With FRP Sheets Using Drucker-Prager Yield Criterion.” Proceedings of the 6th ASEAN Civil Engineering Conference, Bangkok, 21-22 November 2013, pp.CE28-1 to CE28-10. o Dinh, H.T., Lenwari, A., Senjuntichai, T., and Hayashikawa, T. (2013). “Distortion-Induced Fatigue Cracking at Web-Gap of Steel Build-Up I-Beams.” Proceedings of the 6th ASEAN Civil Engineering Conference, Bangkok, 21-22 November 2013, pp.CE35-1 to CE35-11. o Loedpattanapan, N. and Lenwari, A. (2015). “Heat Transfer Analysis of Concrete-Encased Steel Columns Subjected to ISO 834 Standard Fire.” The Twenty-Eight KKHTCNN Symposium on Civil Engineering, November 16-18, 2015, Bangkok, Thailand. o Thepchatri, T. and Lenwari, A. (2016). Behavior and Design of Steel Structures. 4th edition, Chulalongkorn University Press, Bangkok. (in Thai).